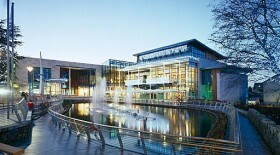 The Dundrum Town Centre is a flagship retail development in Dublin. It opened in 2005 following a fast track construction programme carried out by John Sisk & Son Ltd.
MMP were Project Quantity Surveyors on the development from inception to completion. The project achieved many goals during its delivery including largest retail centre of its kind in Europe. The project had a bespoke form of contract drawn up and also utilised a Guaranteed Maximum Price (GMP) technique during construction. MMP were key members of the GMP team. It comprises 200,000 m2 of retail development incorporating Main Mall, Civic Square Retail, Mill House, Mall Apartments and car parking at various levels. A Phase 2 to Dundrum Town Centre is at early planning stage and is currently on hold.